I seriously searched all search engines, and read almost every single post I could dig up on the internet but there was no solution to be found – except from reinstalling the entire system – which I really did not want to do. Safari would not open some secure pages while others did just fine. The sites that didn’t open in Safari worked flawlessly in Firefox and Chrome. Currently, I’m using Mavericks on my MBP and Yosemite on my MBA, and both computers experience this problem. Safari version is currently 7.0.6. As far as I remember the problem was also present in Mountain Lion. I tried a lot of the suggestions incluing: “Remove all web site data”, turning off extensions, uncheck “Stop internet plug-ins to save power”, adding a different DNS in network setting such as 8.8.8.8 and 8.8.4.4, testing from Guest Account, Safe boot, uninstall JavaForOSX2013-05, reset all network setting, reinstalling Maverick, updating to Yosemite etc. Nothing worked. The only thing that I got was the deleting of all my passwords, cookies etc etc. Set system clock/time to automatically update. 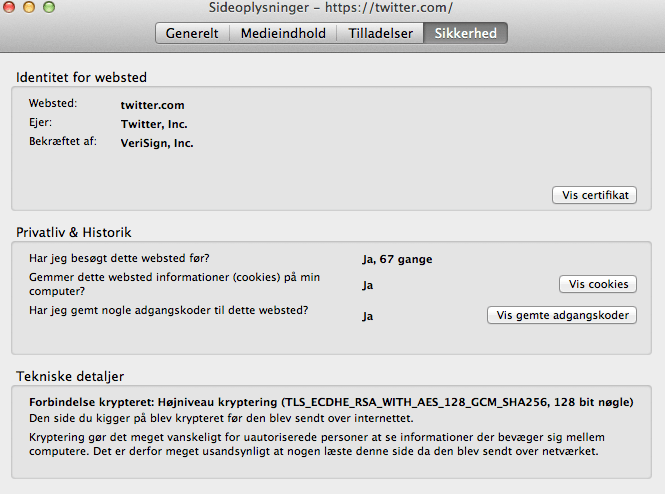 Next step was to click the “More informations” (Flere informationer) to bring up the next window. 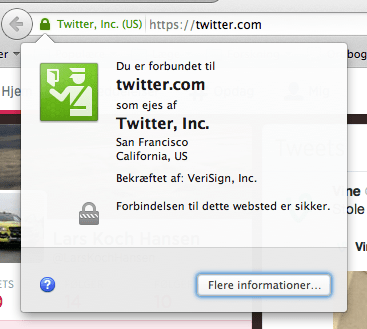 Click on the safety/security tab (Sikkerhed) to the right and then “show certificate” (Vis certifikat). Here, I switched to the “Details” tab (Detaljer). 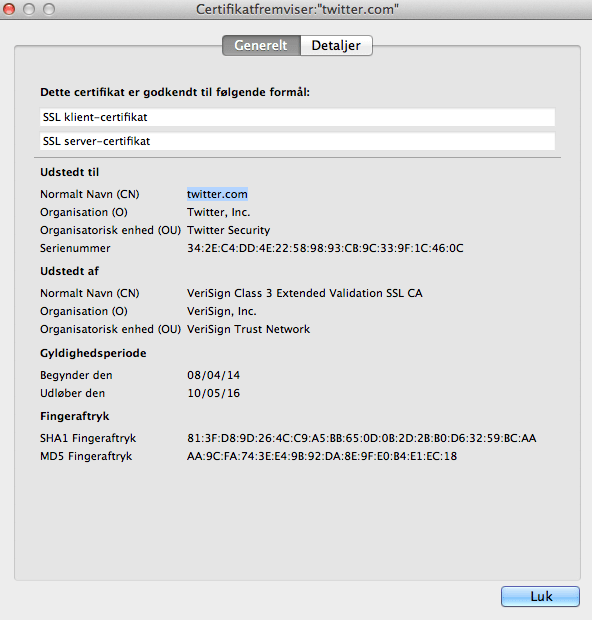 In the pictures you can see that twitter.com uses the “VeriSign Class 3 Publich Primary Certification Authority – G5 certificate”. Then, I opened the Keychain by clicking CMD+Space and then typing “Keychain”. Then click the “system roots” (all entries). Here I found the above Certificate, which had a blue “+” mark on it. Then double-click, which brings up the windows below. Here you can choose to use “system setting” (Brug systemstandarder), or Always approve (Godkend altid) or Always reject (Godkend aldrig). It turned out that the problem was the certificate, which somehow was “locked” to my mail “server”, which prevented all other websites from using it. In my case it was locked to my mail server “smtp.xxxxxxx.dk”. 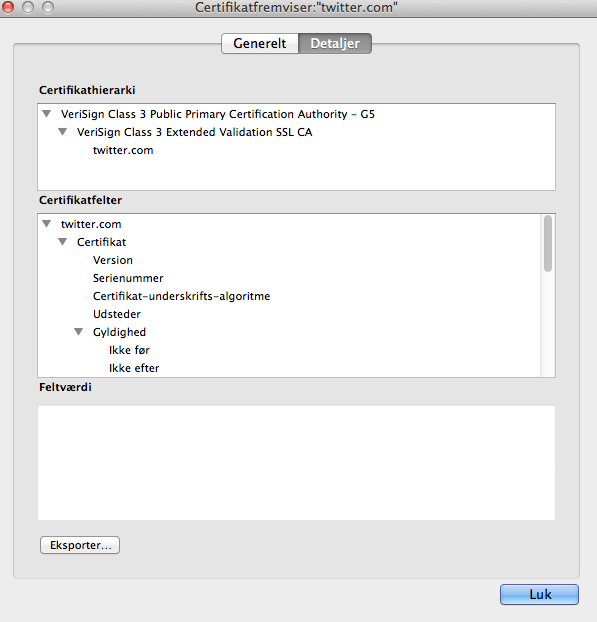 (The above picture does NOT display the locked certificate but shows how it looks after it has been “unlocked” – I did not take a screenshot when changing it the first time). I don’t know how or why it was locked to this mailserver. I changed the certificate authentication to “Always approve”, but that did not work. Then I switched it to use the system setting and voila – now all pages loads perfectly. PROBLEM SOLVED, and I was a happy man ! Feel free to leave a comment as it’s always nice to get response from people. Help me with a cup of coffee ? Safari https problem - Who can perform this fix? In Safari (or other browsers perhaps) on MacBook, Change (View-Text Encoding) To Unicode UTF-8 and some of your Safari Can’t Open This Page problems will disappear. It worked for me! Thanks. Thank you. Your solution worked perfectly and your walkthrough was very easy to follow. I wish Apple’s support pages were as useful. HI ! I have that problem with https://www.myairbridge.com/ I have located the certificate in question and I could not see if it was locked to anything. I switched always trust and then switched to system and then restarted Safari but it did not help. I tried removing the certificate in keychain and tried to access the website but it failed. I open it in chrome and then found that the certificate is there again but I have not seen the blue plus sign next to it. Any thoughts ? Older versions of Safari are not kept up to date with latest security protocols. Thus when one visits certain websites one gets the message that “Safari can’t establish a secure connection”. I tried various fixes, but the problem always came back. So, now, whenever I get the message, I open up another browser (for example: Firefox) and access the webpage that way. I am currently using Safari 6.2.8 on OS 10.8.5 (Mountain Lion). My Firefox version is 48.0.2 (already old but with more recent security updates than Safari 6.2.8.) Unfortunately, FireFox discontinued ongoing support for OS 10.6, 10.7 and 10.8 in summer 2016. I discovered that the problem for me was that I need to use the www. I had trouble with the PayPal site because I was entering paypal.com into my browser and the PayPal site did not redirect me to http://www.paypal.com. But the certificate is only for http://www.paypal.com so Safari was being pedantic about the web address and refusing to connect. Simply adding the www fixed my issue. Ken, you’re my saviuor!!!!! I was plagued by this issue for a good half of month desperately trying to access the site http://www.macosxautomation.com as well as all its subdirectories. After reading your comment I turned my eye to the beginning of the URL-adress only to receive evidence of the site’s address being displayed as http://. I changed that to www. and suddenly the gates opened. Thank you very much! Reacting to the author’s article: indeed very enlightening especially considering an app as obscure as Keychain. You helped me a lot to begin to fathom its conundrum. Unfortunately, upon delving into what is what I found one piece – and rather critical one – missing: the certificate of macosxautomation.com itself. It simply wasn’t present. 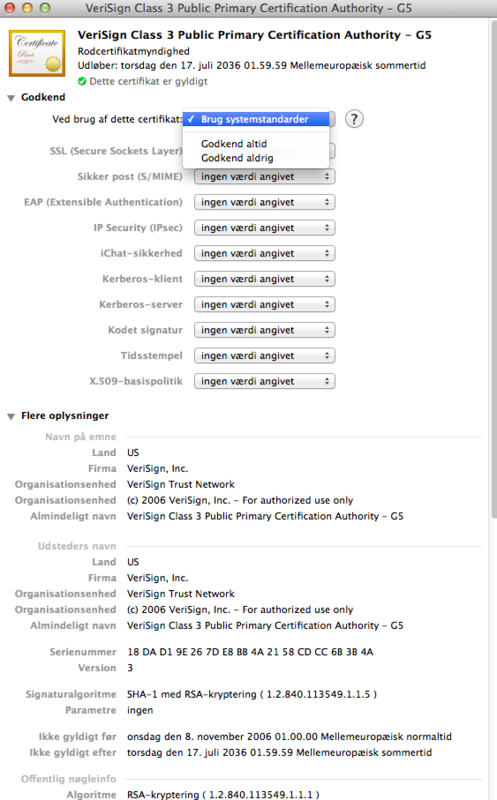 I then discovered in its menu bar a set of items (Keychain–>Certification Assistant–>…) where you can check, request, update certificates and also create your own Certification Agency (CA). So my dummy question: is it possible to request the certificate in order to enable Safari to shake hands with a server that requires it? Outstanding! I couldn’t understand why Safari on the Mac would fail to open Google pages (google.com, youtube.com, etc.) and none of the various bits of advice on the web were helpful. Thank you for the feedback, Stephen. A very complicated solution – but detailed work! However, there is a VERY QUICK workaround for resolving this problem. All you need to do is to delete all the trash Safari has accumulated under your name as a user in the system. For that open Finder window > go to your own ID’s home folder (where your documents etc. are) > click Go menu > press ALT key > you will see a hidden menu of Library becomes visible when you press the key > go to Library > find the folder called Safari > rename it as Safari-backup or something similar > you will notice suddenly again a Safari folder got created, which is empty now > close Finder window > Open Safari > PROBLEM SOLVED. I’ll give it a try. But removing that folder is the same as starting all over again with Safari. All history and bookmarks will be gone, and I will need to rebuild the bookmarks again. Shoot me! I quit Safari, followed the steps to rename the Safari folder in the Library, relaunched Safari, new Safari folder appeared in the Library, Safari now has no history or bookmarks, started re-establishing some of my bookmarks, and the issue came back while I was on a secure site. Safari can’t open the page because Safari can’t establish a secure connection to the server. PROBLEM NOT SOLVED. I think my only remedy is to either upgrade Safari by upgrading OS X, or switch to another browser. As mentioned in earlier post, I am using Safari 6.2.8 on OS 10.8.5. I need to upgrade Safari, which means upgrading to Mac OS 10.11 from Mac OS 10.8.5. Or, I need to switch to a more secure browser, such as Firefox version 43 or later. To test any browser to see if its SSL/TLS is up to date, visit https://www.howsmyssl.com while using the browser. My concern is that when one “Always Approves” a browser to visit websites, one is bypassing security protection and exposing their Mac or PC to potential risk. For over 6 months, been having the message “Safari can’t open the page because Safari can’t establish a secure connection” for “https:” pages from several websites and then would have to use FireFox to open the same webpage. Tried many things including your instructions and I was ready to give up on Safari. Discovered that “Java” was not up to date. To check whether your Safari has Java up to date, in Safari go to “Safari” –> “Preferences” –> “Security” –> “Manage Website Settings…”. Select “Java” in left panel. You will need to update Java if you see a warning message that says something to the effect that your version of Java has known critical security issues and Safari will block some web pages unless permission has been given to “Always Open” or “Always Approve”. To update Java: Go to “System Preferences” –> “Java”. A separate “Java Control Panel” will open (it may be hidden under another window). Then select the “Update” tab. Follow instructions. My version of Java was last updated 7 months ago and I was at “Java 8 Update 31” while the current update is “Java 8 Update 66”. So far Safari is working normally. Will see if it is still working normally after a few days. I am using Safari 6.2.8 on Mac OS 10.8.5. Thank you very much. It really helped. Although, the system settings didn’t work for me. Instead I used the Custom Setting and “Always Approve” the first four options. And it worked. My problem is in iPhone, there is the different? What if there are no expired certificates? There’s one cert that has that blue + on it but it only indicates that it has custom settings. None of the above steps worked for me. Using OSX 10.8.5 Don’t want to upgrade. Using this system for testing. Any ideas please. the proposed solution did not work for me. I could not connect to any HTTPS URL; can not run software update (also ssl encrypted); can not connect to apps store; neither to get help for different parts of software (like keychain). as mac os x is NOT unix — case insensitive file system — i repartioned my disk — mostly for files at home; for the root fs I’m using time machine to back it up [still don’t know how to restore ;^) ] and for normal unix file system I use rsync for backup. So to solve my problem — I saved the content of ~/Library; deleted it and then restored if from backup — rebooted and safari/software update etc started working.. This was so helpful! I have not been able to open my school’s web system on safari and nothing else worked! Thank you! The problem is SAFARI’s encrypted Keychain being corrupted in some way. This is about the 10th problem I have had with Keychain in Yosemite. To solve this follow these steps. 1. Go to Safari Extns, write down your list of extensions you want to keep. 3. Go CMD + U – To the Utilities Folder on OSX. 5. Search SAFARI in the top right. 6. Delete all the keychains for Safari. 8. Run Safari and Reinstall your extensions that have been removed. How do we know which extensions we want to keep? ps. You speak/write incredible English. Guessing you did some study in the US as you don’t use “English” spellings. Ich bin ein neuer Mensch geworten!! Verstehen Sie? Worked like a charm! Thanks much. Any ideas how to access those options on an IPad or IPhone? Trudy – Lars is just referring to the keyboard shortcut to open the search text-box – you’d use the Command key and also the space bar to get the text box on screen. Then type “keychain” and it’ll show you the application that you need to open in order to carry out the rest of the instructions. Good luck. Problem solvers are a great asset to the world. Thank you and my issues are solved. You saved my spare time while making graphics! Thanks a lot! Was having problems getting my website to appear on google, but traced it eventually to Safari blocking because of ‘certificate invalidity’. Clicked ‘Always Trust’ and now it seems to be working. Now Safari is blocking facebook. So I found your journey very helpful and interesting and will take your advice. Hey there: Also have the same problem as itgseb above. [trying to fix a similar problem with Facebook] Would be lovely if you could help. Thanks! 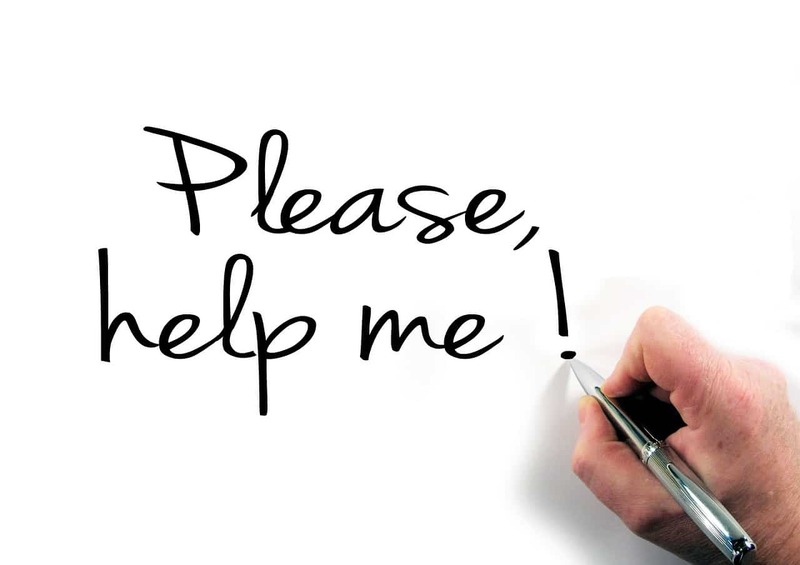 Hello , I’m also having a problem with Facebook and I am not very computer literate…. My Mac pro is also immensely slow… I would be so grateful for your help. Are these certificates system level? In my situation, i’m getting the same problem; both in user and admin accounts. Hi, I’m not sure I understand your problem. Could you elaborate a bit? You are seriously a star sir! All those “this is a test and will not solve your problem” posts on apple forums were really frustrating me! I’m very glad that the instructions helped you out. Hej Lars 🙂 Jeg har det samme problem, men der er ikke noget “låse- ikon” som jeg kan trykke på oppe i url’en. You sir, are my hero. Weeks of not being able to use Safari and this finally fixed my issue! Thank you so much! !